IGONC chapter meetings can be a great source of business information and they also build valuable support networks among members. 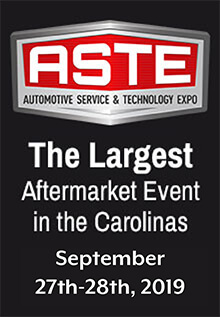 Largest Automotive after-market show in the South East. As a preferred vendor for website design and internet marketing, Autoshop Solutions is excited to bring added value to IGO members. They offer a variety of online marketing services that will grow your automotive business. Custom websites and marketing services make your shop stand out from the competition. AASP member shops receive 50% off the Website Marketing Success Package set-up fee (up to $500) and special pricing on template websites starting at just $59/month + $149 set-up (regularly $79/month + $250 set-up). One Eighty Business Solutions, LLC (180BIZ) has been helping shop owners increase profits and car count while decreasing stress since 2003. AASP Members receive a 20% discount on One-On-One sales & management coaching programs (covering financial planning & analysis, strategic marketing, leadership and personnel development) without long-term commitments. Members also receive a 25% discount on monthly sales & management webinars as well as a 20% discount on all 180BIZ advisor training programs. 180BIZ offers a risk-free trial of their services. To learn more please call 540-833-2014, email info@180biz.com or visit www.180biz.com. Advance Professional is a preferred supplier of the Independent Garage Owners of NC. When you purchase through the Advance Professional network, you receive additional benefits and rewards! GET UP TO 8% IN REBATES Members of the Independent Garage Owners program will be eligible for a 3%, 4%, or 5% rebate (based on total quarterly spend) on qualifying lines. Additional rebates of up to 3% will be paid on online purchases, up to 8% total. Click on above link to details. 2 Free hours of training on the Protractor cloud based Shop Mgmt System.  Quarterly Rebate Program – Receive up to 10% on qualifying purchases, members will be eligible for a 1%, 2%, 5% and 7% rebate based on total quarterly spend. Additional 3% rebate will be paid on online purchases. Click on the above link for more details. Find a store near you to contact and use your discount today! Pay-Per-Minute $2.85/ minute service (average talk time is 5-10 minutes) IGONC Program participants get 10 free minutes at sign-up. With free sign-up and no monthly or yearly membership fees, you simply pay-as-you-go. Diagnostic Hotline specialists have access to Original Equipment Manufacturers’ (OEM) service information and a database with decades of pattern failures. Services include walking customers through a repair as well as providing a variety of technical information as needed, including wiring diagrams, Diagnostic Trouble Code diagnosis, technical service bulletins, and more. Diagnostic Network is a community connecting professional technicians in the automotive, collision, medium and heavy-duty vehicle service and repair markets to enable successful repair of complex vehicles through peer discussion, partner collaboration and education. We are focusing initially on the diagnostician and the industry partners who provide the tools, equipment, software, and training for the vehicle service industry, by creating a bi-directional channel between all parties. Diagnostic Network launched officially on May 27, 2018. Industry professionals interested in adding our service as part of their life learning program can do so for less than $20/mo. As a courtesy to IGO members, we’re offering an annual promotion price of $199.00. You must email Samantha at scriswell@diag.net for signup. 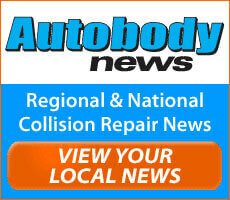 Special pricing is available to IGO members for ALLDATA Collision subscriptions. Alldata Collision is a powerful tool that includes manufacturers’ procedures for sectioning, working on new materials, re-initializing electronic systems, welded panel replacement, hybrid handling procedures, finishing and more. ALLDATA Collision was introduced to the market in 2006 in response to collision industry requests. Discounted pricing for IGO members on ALLDATA Repair, Mobile, Training Garage and Tech Assist programs. IGO members are eligible for a year-end dividend in the workers compensation program if the group performs well. This website will help collision shops challenge inaccuracies with the labor information systems which results in higher labor dollars on your estimates. This service is free to use at www.degweb.org. North Carolina Law requires that all shops post a sign regarding the estimating law contact IGO for your free sign. AASP/IGONC members enjoy $50 off there next powertrain purchase or $25 off there next program. Contact aaron@go-powertrain.com for more information. Let us help you save $ on your New Antifreeze. All products are ASTM Certified 50/50 ready mix. Universal OAT Yellow, Conventional Green, Heavy Duty Red, Windshield Washer Fluid, Industrial Strength Concentrate Degreaser. No Delivery charge within NC & SC. Call me for IGO member pricing! Environmental needs? Industrial services & Disposal of your Used Oil, Used Oil Filters and Used Antifreeze! Contact IGO for kit with all the necessary information to legally dispose of abandoned vehicles. **Must Mention They are an IGONC member** Email Josh Davis at josh@themailshark.com to sign up. IGO members are eligible for special Mitchell 1 information and management programs at significant discounts. For more than 85 years, Mitchell 1 has provided quality repair information solutions to the automotive industry. The Mitchell 1 family of products includes a complete line of integrated software tools designed to improve repair shop productivity. Mitchell 1’s OnDemand5 now serves as the industry standard for innovative repair, estimating and management software. The new Mitchell 1 Business Performance Services give shop owners automated marketing solutions to improve bottom line profits. IGO members receive a 15% discount on any Mitchell RepairCenter™ TechAdvisor package. TechAdvisor provides technicians access to the critical OEM repair data and procedures they need to safely and properly restore today’s complex vehicles to pre-accident condition. New vehicle repair data is accessible from a single integrated solution, improving vehicle repair workflow and shop productivity. For more information, call 800-238-9111. Improve Repair Approval Cycle Time — Support your estimates with the OEM-specified repair procedures to reduce supplementation and to receive insurance approval faster. Keep Up With Vehicle Design — You can take new model vehicles with confidence to complete the repair safely and accurately. Document the Repair — Increase sales and consumer confidence with a professional explanation of necessary repairs and demonstrate to your customers and carrier trading partners your shop’s compliance with OEM repair guidelines. Make an informed decision regarding how you perform brake work. Let us provide you with a free no obligation demonstration of the Pro-Cut Rotor Matching System. Take a look at what you might be missing out on when it comes to productivity and profits! Shave time from your jobs, eliminate comebacks and add a new revenue stream that only the Pro-Cut Rotor Matching System can do! Should you decide to purchase you will receive a free adapter of your choice (exclusive offer to IGONC members) and an entry into Pro-Cut’s drawing for a new Jeep Wrangler. If you already have a Pro-Cut Rotor Matching System IGONC members receive discounted cutting bits. Buy four boxes of bits and receive the 5th box free. Contact EBS Auto Equipment the Carolinas Pro-Cut distributor 704-658-1047 for your free Demo. Tekmetric is a shop management system designed for business-oriented automotive repair facility owners to improve their business efficiency and profitability. With Tekmetric, these business owners can expect to improve overall productivity and profitability through an all-encompassing intuitive software solution. Whether your goal is to quickly build an accurate repair order using our built-in labor guides, precisely manage inventory, send status messages to your customer’s smartphone, or perform digital inspections, Tekmetric provides the engine and fuel to keep your shop running smoothly and efficiently. Free equipment, no annual or setup fees, No Contract. On the road or online, Universal Environmental Services has you covered. From the time our collection truck services your waste oil tank to the time it reaches our state-of-the-art-re-finery, you’ll know your product is in good hands. We’ve got you covered in the office too, with our online portal. You’re just a click away from being able to download manifest, track collection history, and schedule services. Services include used oil, antifreeze, used filters, oily water collection and with bulk fuel trading, spent absorbents and vacuum services. Please mention the organization to get member only pricing. Email Dennis at dguill@universalenviro.com to sign up. IGONC partners with Wheels 4 Hope to repair cars for those in need. See their website for more information about this wonderful organization.